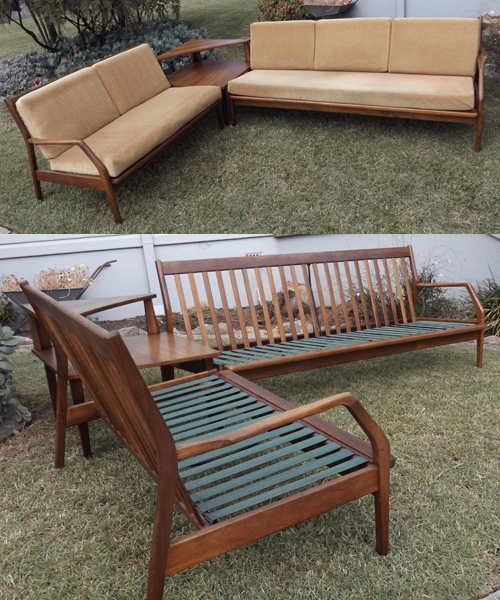 I’m really impressed with this corner lounge by Van Treight on eBay this week. Consisting of 2 lounges (2 & 3 seater) which are joined in the corner by a nice matching coffee table it has a really nice shape – I love the sloping angles on the back rest/front of the arm rest. I’ve seen various pieces of Van Treight furniture in my time, and I must say that the quality is really, really high. 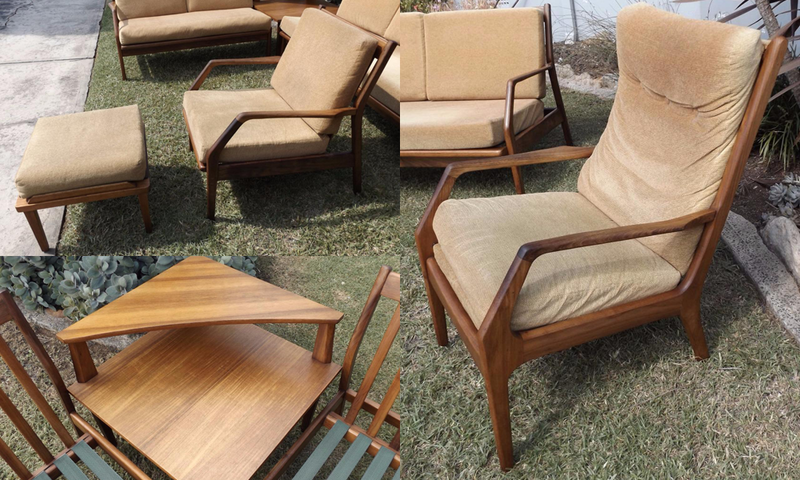 The same seller also has listed 2 single, matching arm chairs – one has a footstool. I think this presents as a nice opportunity to purchase quite a reasonable sized setting, all in one go! With a good oiling and some fresh upholstery, I think you’d certainly be onto a winner here!